Yahoo is today updating its Yahoo Weather app for iOS with near-term rain and snow alerts (not that we needed a reminder that summer is nearly over). With the updated app, users will receive alerts for rain and snow 15 minutes before an expected downpour. The updated Yahoo Weather app with rain and snow alerts, version 1.8, is available for iPhone and iPad on the App Store now. The Forecast team today released their iOS 7 update for Dark Sky ($3.99), the ‘down-to-the-minute’ weather app. The update strips back the bevels and gloss to fit the iOS 7 aesthetic. The new design puts the most important information — the current weather conditions — front and center. A graph plot of upcoming precipitation is also available at a glance on the main page of the app. Blurring has also been used to great effect, with the forecast information superimposed on a blurred view of the global radar maps. These maps are beautifully rendered; the radar patterns smoothly transition over time. In addition to the radically new design, version 4 also brings much forecasts that span longer into the future. The next 24 hours is prioritised, but 7-day outlooks are available with a swipe. The day-by-day breakdowns offer a lot of information, more so than most weather reports will provide. 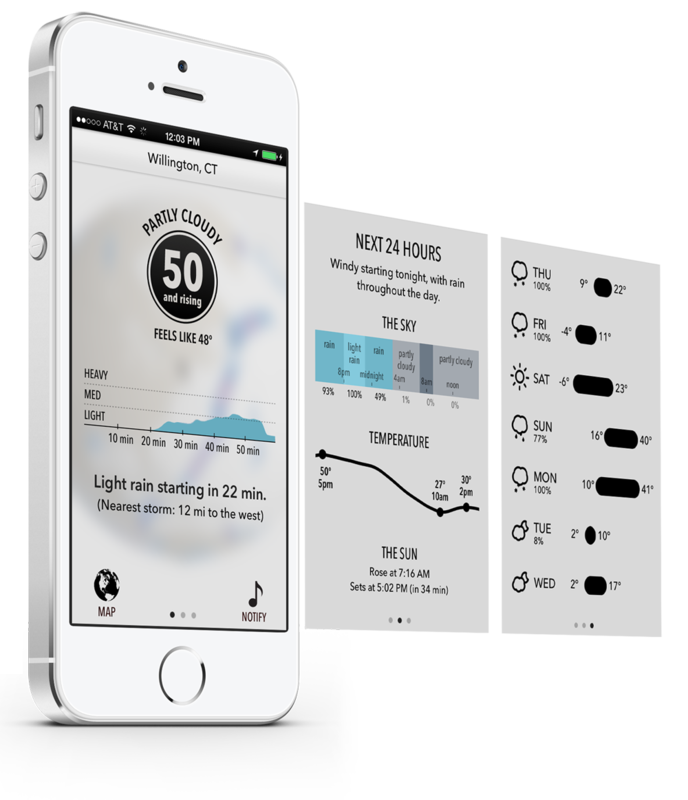 Completely rewritten from scratch, it sets aside the limitations of the web to become the weather app we’ve always wanted — and always wanted to build. It’s the culmination of over two years of work in figuring out how to display and organize weather data the right way. 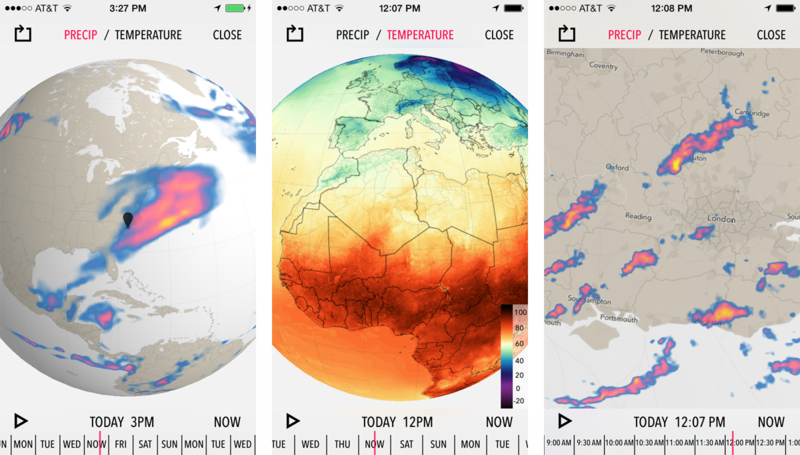 And it’s a full featured weather app — something we swore we’d never do — but it still remains true to its original focus on what’s happening right now, where you’re standing. The developers say the app is a complete rewrite, which makes the fact they are not charging for the update impressive. For new customers, Dark Sky is available for $3.99 on the App Store. Note that Dark Sky coverage currently encompasses the United States, the UK and Ireland. The developers have said that they are actively working on adding data for more regions.